Jonny Benjamin feels lucky to be alive after a stranger saved him from suicide. ON A gloomy day in 2008, Jonny Benjamin was ready to end his life. He had escaped hospital that morning, and was ready to let go when a kind stranger's words made him pause, and reconsider what he was about to do. Over the next six years, Jonny sought help and pulled his life together. But one piece of the puzzle was missing. 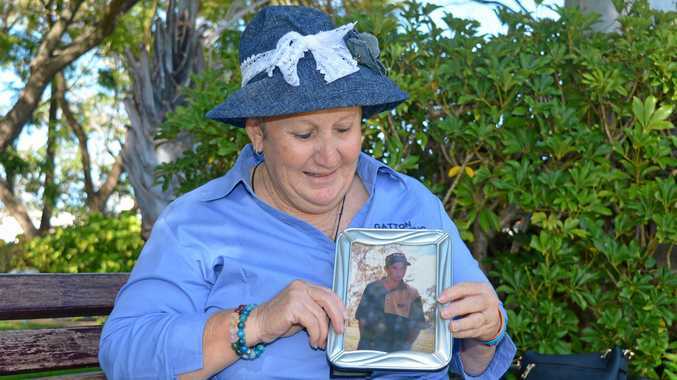 Who was the stranger that saved his life? 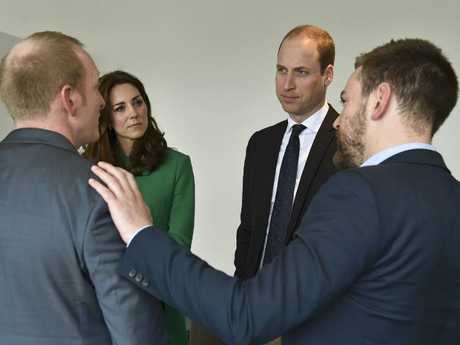 In 2014 Jonny launched a social media campaign, later a documentary, called Find Mikein the hope he could thank his saviour face-to-face. The campaign received international attention, and before long 'Mike' was found. Below is an extract from Jonny's new memoir The Stranger on the Bridge, detailing the moment these two men met once more. I hope this message gets through. I was on the bridge that day and was the person to help Jonny. I probably know that you may read this with some scepticism, however I assure that you that this email is 100 per cent genuine. I can recall the moment and details of our conversation on the bridge and the events with a lot of clarity and detail, even 6 years on. I have emailed this rather than posted on Twitter or Facebook to avoid any unforeseen complications in establishing who helped Jonny. My name is Neil Laybourn, I have worked in Covent Garden since 2007, travelling over Waterloo Bridge to work most mornings. I would be delighted to help confirm all this and would love the opportunity to make contact with Jonny to reciprocate his genuine gratefulness to something I was fortunate to be able to be there for. Please feel free to contact me in confidence. My first meeting with 'Mike' was scheduled for late January 2014, a few days before my twenty-seventh birthday. I could hardly believe that it was finally going to happen. Waking up that morning, I was as nervous as on the day of the campaign launch. Would I recognise him? Would my nerves come across in the documentary? That would be so embarrassing! And what would I do when I saw him? Even though I'm not a touchy-feely person, I thought I'd hug him. Or maybe just go for a handshake. Definitely a handshake. The meeting was arranged to take place in a room above a pub in Vauxhall, south London. It was, of course, vital for the production team to catch the very first moment we saw each other, and so I had instructions to wait upstairs while 'Mike' was on the ground floor. As fate would have it, we both needed the toilet at the same time, and it turned into a military operation to keep us apart. 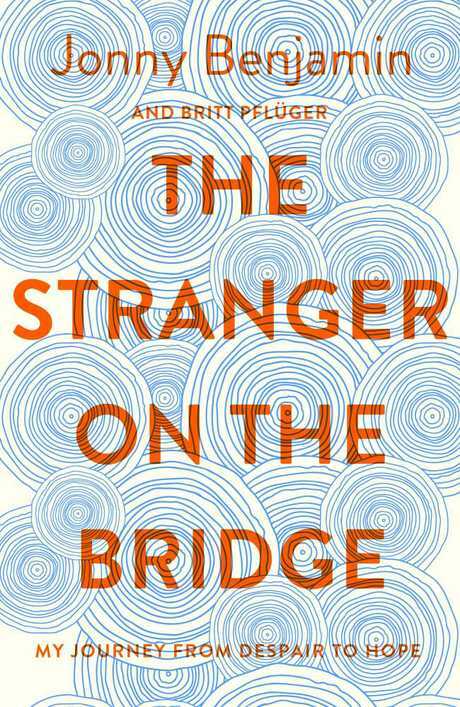 The Stranger On The Bridge features Jonny Benjamin and Neil Laybourn. hair. He had the biggest smile on his face … but me? I didn't recognise him at all. Nothing came to me. Even when he hugged me, I was still unsure. He said, "Fantastic to see you. I've seen you on TV. Seems like only good things have happened to you." There was something familiar about him, but I was confused, a bundle of nerves. I could only ask him over and over again whether he was OK.
"I'm fine, I'm fine," he said. It was only when we sat down and he made a distinctive gesture while talking, reaching out his hand to emphasise something, that everything from that day on the bridge suddenly came flooding back. It was an incredibly surreal and emotional experience. My face in my hands, all I could say was: "Thank you so much. Wow. Before, it was all just a hazy memory, but now it's all coming back, you standing to one side of me." The man, who I was now told was called Neil, asked me whether I remembered how cold it had been: "I saw you sitting there on the bridge, and I knew straightaway. You came into my vision and I knew what was happening. I didn't see how I could get to you, because there was quite a distance between us, you know? I kept walking, walking, walking." He said he then went up to me. "Do you want me to tell you what happened?" "I asked you, 'Why are you sitting on the bridge?' and you told me you were going to take your life. I thought, 'There's no way I'm going to let this guy jump'." I realised that Neil didn't know much about my background, and so I ended up doing a lot of the talking after that, but he did tell me that he had been on his way to The Strand that morning, where he worked as a fitness trainer. As we continued talking, he stayed acutely attentive, gently inquisitive and friendly. There was a great warmth about him. Annoyingly, halfway through our conversation, a lorry began reversing loudly outside and the camera crew became a little nervous about the sound quality. An ill-timed and yet strangely poignant reminder that everyday life was still going on all around us. We talked for about ninety minutes, both forgetting about the cameras as I told Neil in great depth about my mental health. I said that he'd restored my faith in humanity that day. Just the fact that he'd taken the trouble to stop and talk to me. "It's nice to know that I somehow made a difference. It must have been awful for you, mate," Neil replied. "It was you saying to me, 'You can get through this', that there was another way. Thank you." Neil smiled. "I'm proud of you." "It's strange. It feels like we're friends." "I have a feeling we will be now." When the cameras stopped rolling, Neil and I exchanged contact details. The team got champagne and we all celebrated our success. Later I would write in my diary that it was "the greatest day of my life." 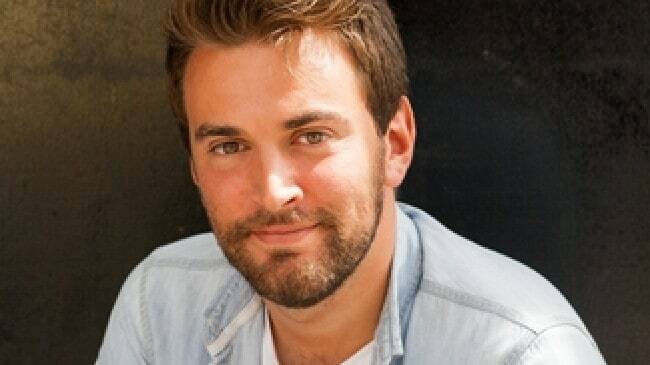 - Jonny Benjamin is a British mental health campaigner, film producer, author, public speaker and vlogger. This is an extract from his book The Stranger on the Bridge. Available now, Bluebird, RRP $32.99. - If you are experiencing mental health issues or suicidal feelings contact Lifeline on 13 11 14 or BeyondBlue 1300 224 636. If it is an emergency please call 000. 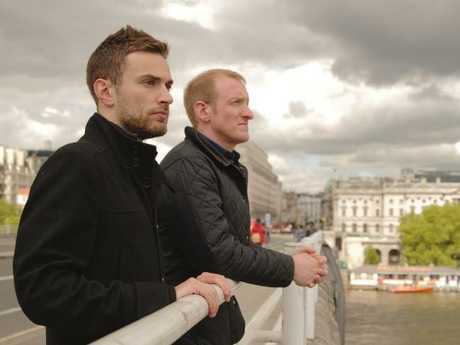 Jonny Benjamin was ready to jump from the Waterloo Bridge when a stranger saved him. He has written about his experiences trying to find that man.